Unless you're in the Southern Hemisphere - or at the Arctic Circle - it's about time to start ingesting some iced tea. Here are a few options. We've been following the Charlotte Observer's Tea Tour series throughout June, which just happens to be National Iced Tea Month. Editor Kathleen Purvis has been hitting the streets and finding the best places to sip the cold stuff around Charlotte. In installment six, Purvis heads to P.F. Chang's for some unsweetened iced tea. This is not standard operating procedure in the South, by the way. For installment eight, Purvis drops in at Melba's Red Light Cafe, where you can have your tea sweet or not. I'm not sure how I missed installment seven, but I'm sure you can track it down at the Observer's site, if you really want to. From the Recipes Recipe site, here's a recipe for Texas Iced Tea. Here's an article from Sacramento's CBS affiliate that includes recipes for Root Beer Float Iced Tea, Grandma's Garden Iced Tea and Hibiscus Iced Tea. 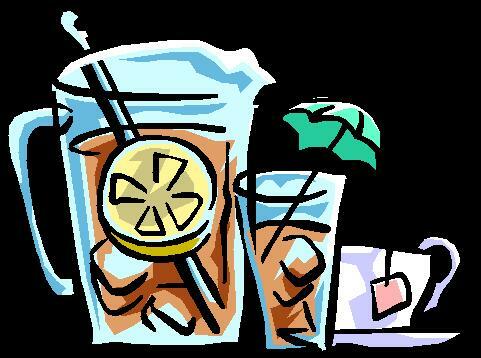 For even more on the ins and out of iced tea, check out this article from Newsday, which offers tips on making it and more. Snopes.com has been debunking - and occasionally confirming - urban legends for quite some time now. They've concluded that the one about sun tea harboring potentially dangerous bacteria is true. Read all about it here. Last on the list today are some bottled teas from Taste Nirvana. They make a Creamy Thai Tea, complete with cream and sugar, and a similar Creamy Green Tea.